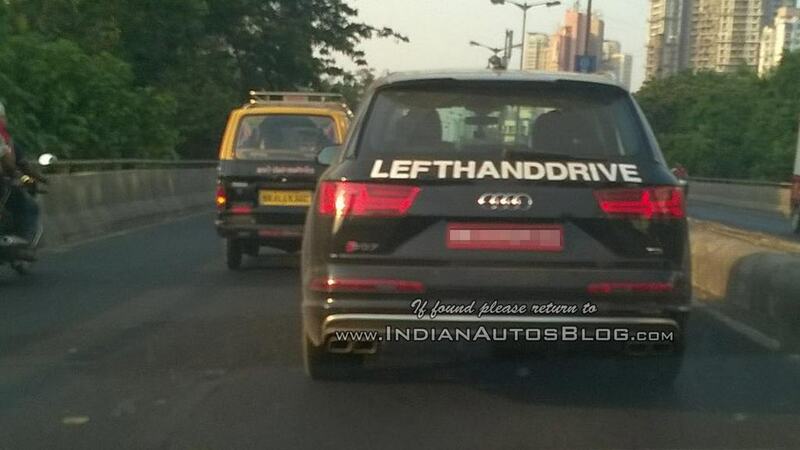 The left-hand-drive version of Audi’s SQ7 TDI has been caught testing in India for the first time. 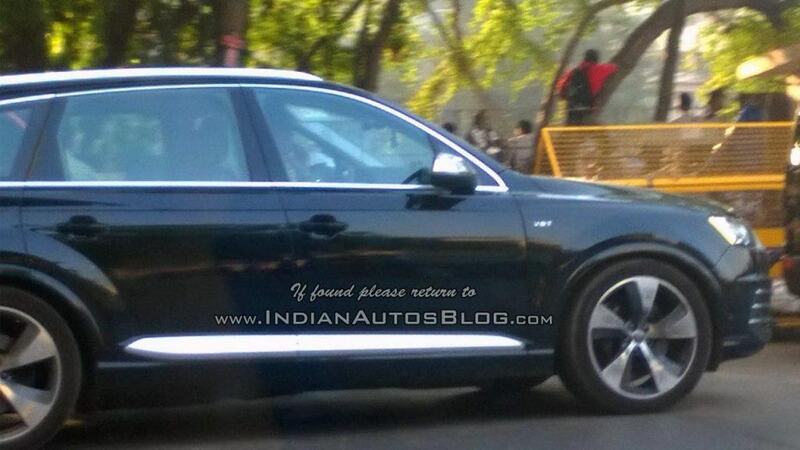 It makes us wonder whether it’s part of Audi’s global testing schedule or a serious move to enter homologation locally. The Audi SQ7 SUV was unveiled at the German manufacturer’s base in March 2016. It is the first volume production model to get electric powered compressor to enhance engine performance. It gets powered by a 4.0-litre V8 diesel engine that’s to be found in the fourth-gen A8 and the flagship Q8 SUV producing 429 bhp. It features an Audi first electro-mechanical active roll stabilisation to improve cornering handling and 48V electric unit combined with 12V system as in the new generation Q7. It follows SQ5 in receiving S badge and has been on sale in several international markets. The new 4.0-litre TDI diesel motor in the SQ7 has 207cc lesser displacement compared to the current engine it succeeds with a new common rail injection, induction boosting triple chargers, exhaust driven twin turbos mounted within 90 degree of each cylinder bank, centre differential with self locking, improved catalytic converter to reduce NOx levels and new valve lift systems. The new engine develops 429 bhp and 663 lb-ft of peak torque between 1,000 and 3,250 rpm coupled with an eight-speed automatic transmission driving all four wheels – at a substantial increase of 94 bhp and 74 lb-ft compared to the twin-turbo 4.2 unit it replaces. The electrically driven compressor keeps small turbos spinning to its maximum boost pressure and thus full torque delivered at the dab of the throttle. 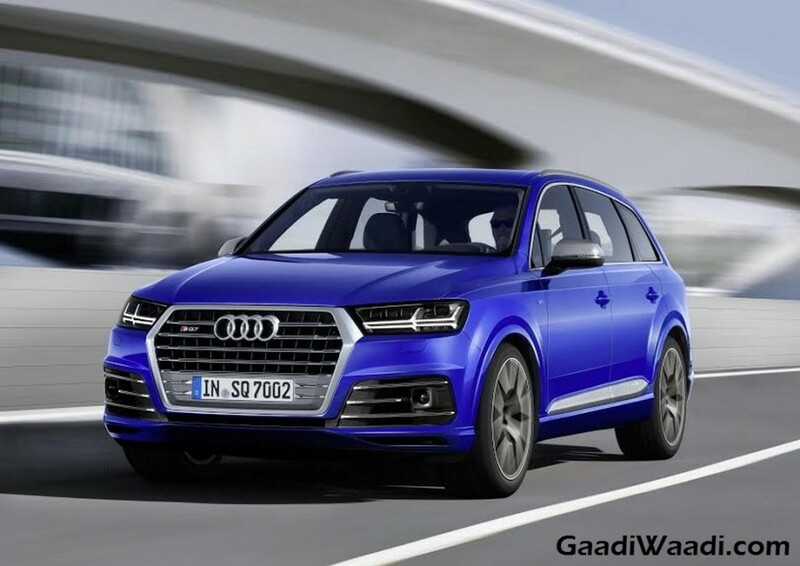 The SQ7 TDI can be bought either as a five or a seven-seater and is distinguished from the second-gen Q7 by subtle bumpers, aluminium door mirrors, quartet of rectangular tail outlets and a new front grille. The Audi SQ7 is claimed to reach 100 kmph from standstill in just 4.8 seconds – more than a second faster than the existing Q7. The top speed is said to be electronically limited to 155 mph (250 kmph). The chassis is claimed to be the most advanced ever along with the electro-mechanical four wheel steering, adaptive damping, air suspension, three stage planetary gearbox, etc to significantly improve driving dynamics. It sits on standard 20-inch wheels and has an optional carbon ceramic brake discs as used in the latest R8 supercar.